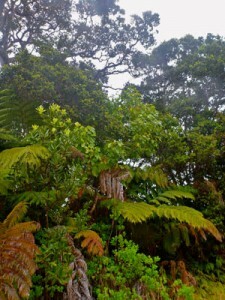 ʻAlalā are unique treasures of our Hawaiian forests. A bird native to Hawaiʻi and found nowhere else on earth. 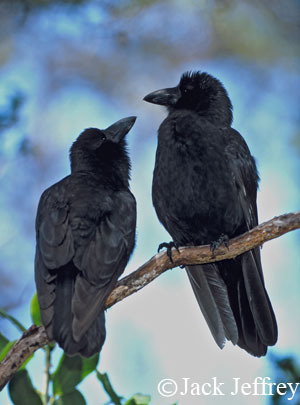 Hawaiʻi’s only native crow species still surviving. Arrived in Hawaiʻi before human settlement and adapted to Hawaiʻi’s unique environments. Forest builders who spread seeds of our native forest plants. They can help revitalize and restore our beautiful Hawaiian forests. With everyone’s help, we can restore the ʻAlalā to its home in the wild. ʻAlalā releases began in winter of 2016 and are ongoing. There are now over 125 ʻalalā in captivity. Thanks to the amazing success of the captive breeding program, we have a sustainable source of birds for release. Conservation agencies across Hawaiʻi Island have been working tirelessly for many years to protect and restore Hawaiian forests that the ʻAlalā can call home. ʻAlalā face many threats to their survival in the wild. Identifying and reducing these threats will help the ʻAlalā thrive. E Hoʻolāʻau Hou ka ʻAlalā: May the ʻAlalā thrive once again in their forest home! No kākou ke kuleana. The responsibility lies with each and every one of us to make sure that the ʻAlalā will be welcomed home to our Hawaiian forests once again. We must build community-wide support from our keiki to kūpuna.